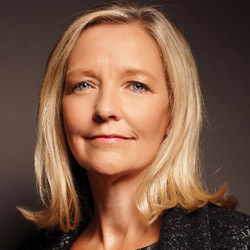 Pam Joseph most recently served as president and chief operating officer for TSYS. Prior to joining TSYS, she served as vice chairman of U.S. Bancorp’s payment services division and chairman of Elavon from December 2004 to June 2015. Before joining Elavon in 1994, she served with Visa International as director of new market development. Prior to Visa, Joseph worked in the banking industry for more than eight years with Wells Fargo Bank. Joseph also became a member of the TSYS Board of Directors in March of 2016, and currently serves on the board of directors of TransUnion and Paychex. She is Chairman of Women Leaders in Action, a nonprofit organization that helps educate young women in Africa, and is a member of the Board of Trustees for Spelman College. Joseph earned a bachelor’s degree from the University of Illinois.